Born from a love of the sea, Finisterre – in partnership with Exeter University’s centre of excellence for Materials Reengineering – are offering a full-time job for a wetsuit recycler in support of the brand’s commitment to innovation and sustainability. As committed surfers, we all have a stack of old suits laying around somewhere. Whilst there are initiatives that exist around the down-cycling of old wetsuits, yoga mats and beer koozies fall short of producing a real solution. 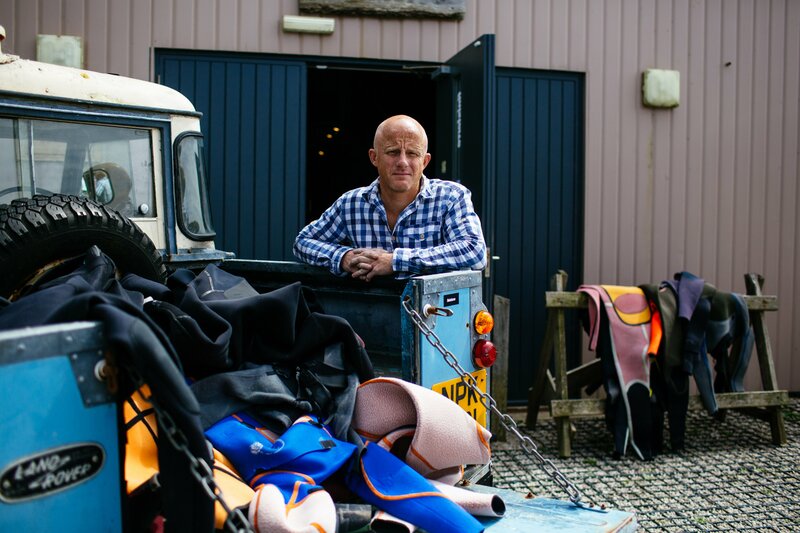 After a quick amnesty in the Workshop, Finisterre founder Tom Kay collected nearly 100 ‘old’ wetsuits, no longer used by the team. “There have been some great advances in eco wetsuits and the search for alternatives to petroleum based neoprene, but the real elephant in the room for the watersports industry is what to do with a wetsuit at the end of its functional life. “It’s a massive, global problem that we need to address; in this day and age there has to be a solution, and this is what we’re committed to finding. In the UK alone, surfers are replacing their suits on average every two years, with no real idea what to do with their old suits.” Tom Kay, Finisterre founder. 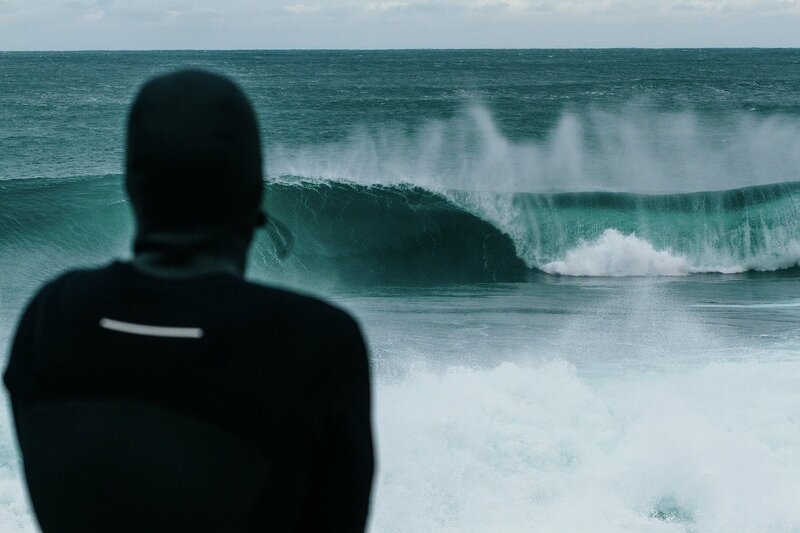 In a bid to address this, Finisterre are recruiting a full-time Wetsuit Recycler. Supported by Exeter University, and with the potential to bring positive change on a massive scale, the position is open to anybody; the ultimate aim being to make wetsuits from wetsuits. Together, Finisterre and Exeter University are recruiting a Materials Scientist to support the work of University Professor Oana Ghita, and Finisterre, specifically focussing on the recycling of wetsuits. This is a full-time fixed-term two year Knowledge Transfer Partnership, with the ultimate goal being to ‘make wetsuits from wetsuits’. It requires a new way of looking at the manufacture of wetsuits and will contribute to a closed loop process, thereby addressing the currently huge environmental issue of what to do with wetsuits at their end of their functional life. Working within the Finisterre team and under the guidance of leading materials Professor Oana Ghita, the aim is to develop a fully recycled and recyclable wetsuit, investigating options for materials, manufacturing and recycling processes, carrying out in-depth materials and industry analysis, developing new testing techniques and investigating remanufacturing and circular economy concepts. The post is based in St. Agnes, Cornwall within Finisterre’s Workshop. This exciting role will shape the future of wetsuit design and the successful applicant will need to be passionate and committed with a willingness to challenge the status quo. The position will give you the chance to develop a wide skill base covering design, manufacturing, product development and its commercial application. It is an exciting opportunity bridging the gap between research and business at the frontline of materials research within the surfing industry, working in a brand that is known for its innovative approach to product design.